This site and cart designed ONLY for Internet Explorer. Mozilla, Safari, Chrome and other browsers may malfunction. Videos (Apple Quicktime and Flash) may take 2-3 minutes loading. Upgrade your Internet Explorer free below! A ten year ongoing research project! Living in China continuously, since 2002 (and 26 years before that in Hawaii, Korea, Japan and Taiwan), in the last ten years, I've travelled three corners of China, visited China's four Southern Praying Mantis Temples, and befriended dozens of China's Southern Mantis elders and teachers sharing stories and skills. Kwongsai Jook Lum, Chu Gar Mantis and Iron Ox. 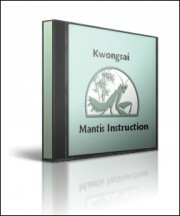 Want to know the origins and history of Southern Mantis in China? Want to learn complete step by step South Mantis Boxing? Want to meet and hear exactly what the living elders of Southern Mantis in China have to say today? And what the Ancestors transmitted to them? How about watching the complete 1954 b/w classic Hong Kong movie of Wong Fei Hong and Southern Mantis Jook Lum Temple? (on the right) Or watching China and Hong Kong Southern Mantis Celebrations and Events for the last sixty years on your PC at your convenience? How about checking our Daily Youtube Feed updated minute by minute with ONLY the latest Southern Mantis video clips! If any of that (and more) interest you, you'll find this site a valuable eSource of Hakka Kwongsai Jook Lum, Chu Gar Gao and Iron Ox Mantis. It's that simple. Don't skip a a page! Just start here and click NEXT at the bottom of each page to scroll the entire site. Or check the site map above. Get my Southern Mantis teaching in any of my articles, books, eBooks, magazines, videos or DVDs now and if you are not happy with the depth of the information and knowledge presented, I will promptly return your tuition / payment. That's more than a Guarantee, that's a promise! Better yet, come visit me in China and I'll greet you at the airport! Adobe's Shockwave Player and Internet Explorer 8 or better. It is free and safe. The first principle is intent or will-power. Intent is simply defined as the "warrior spirit." Without it, there is no focus of the body and mind into one purpose. Strike with the soul, and you will never miss. Thought and action are one. Rooting is the skill of developing the force of one thousand pounds in the feet. With it, the stance is as firm as Mt. Tai and not easily moved. Without rooting, the power of the fist will be stagnated in the chest and one's feet will not be steady allowing him to be easily thrown about. Copyright © 2002 - 2012, Roger D. Hagood. All Rights Reserved Worldwide.